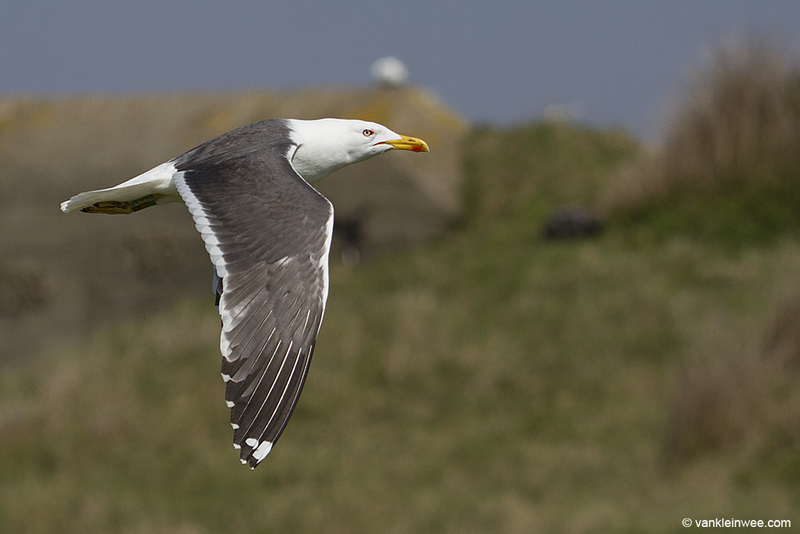 Images and videos taken during our first visit this breeding season to the gull colony of IJmuiden, the Netherlands. 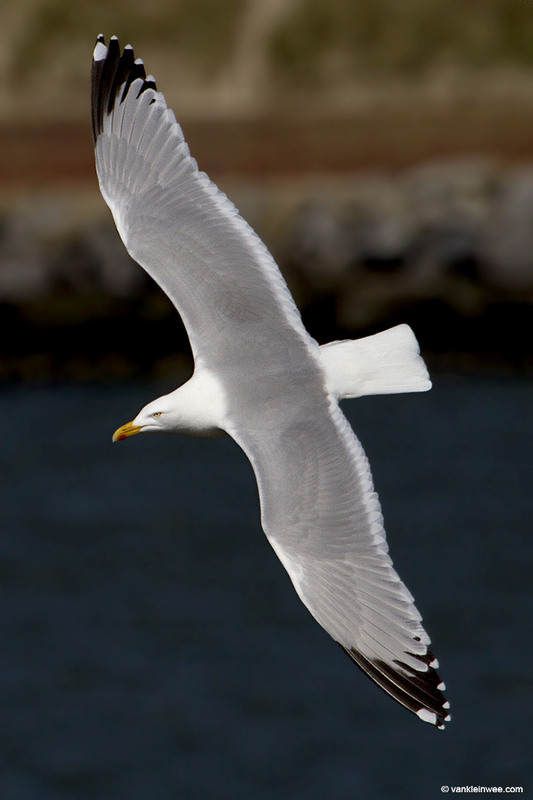 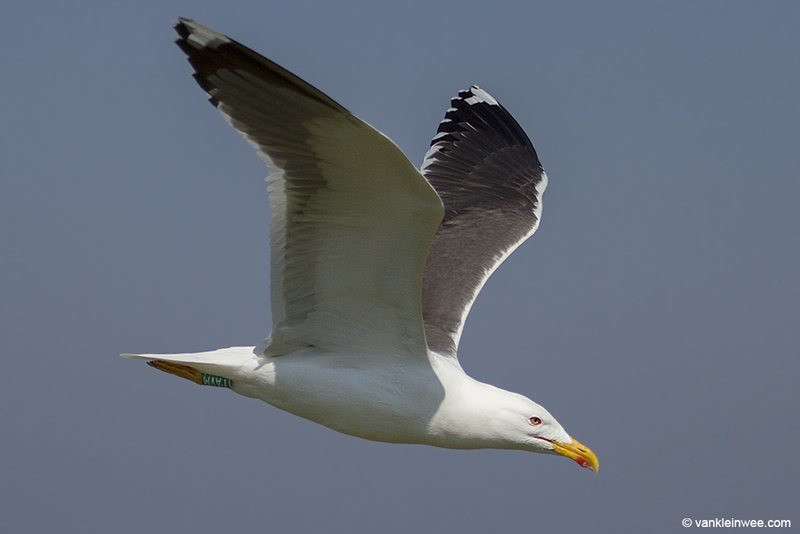 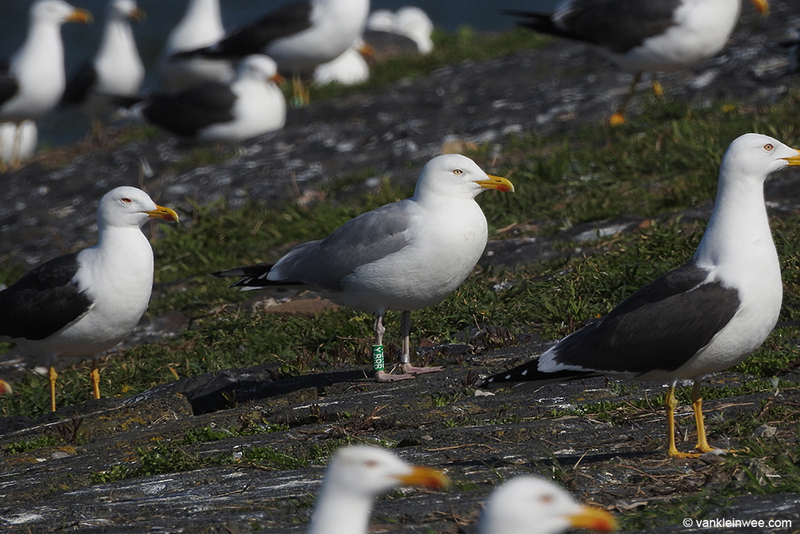 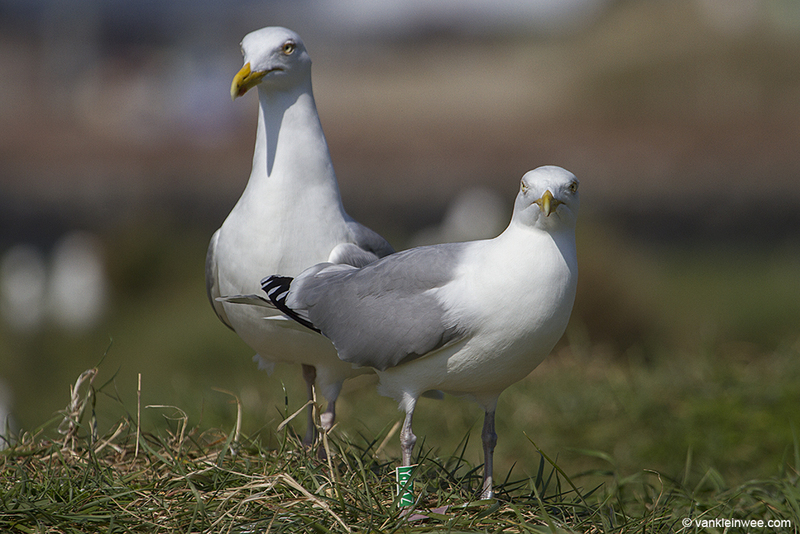 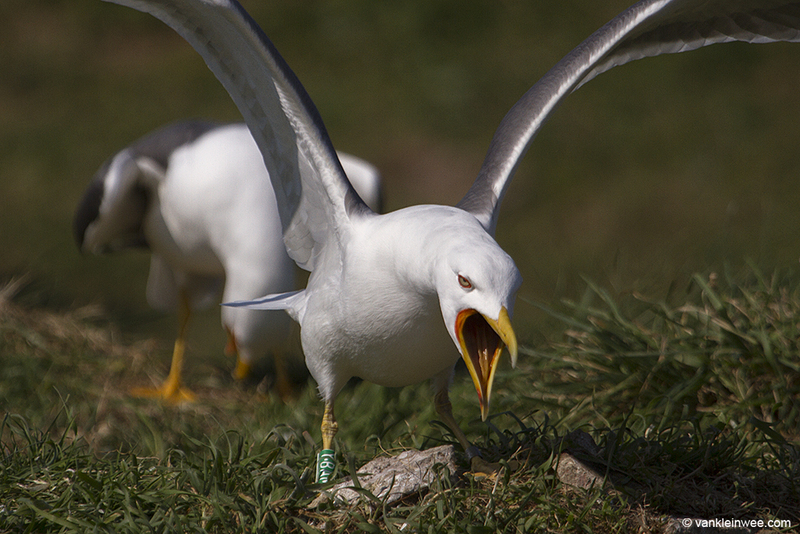 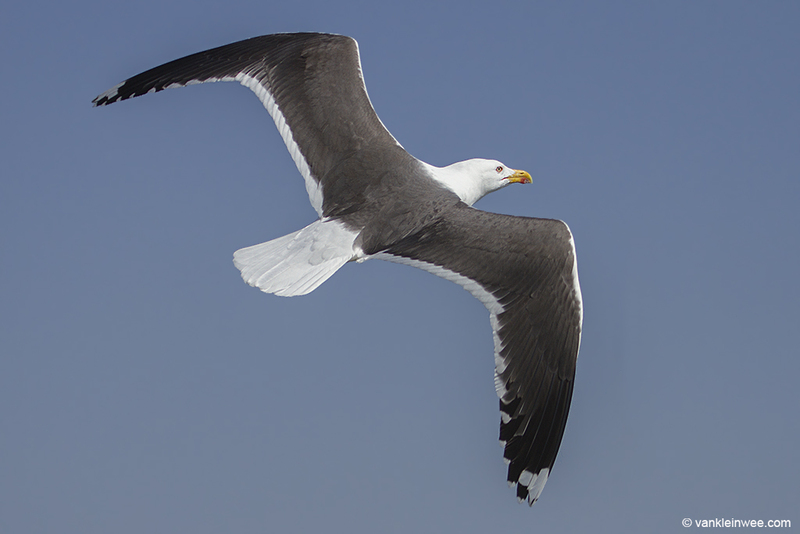 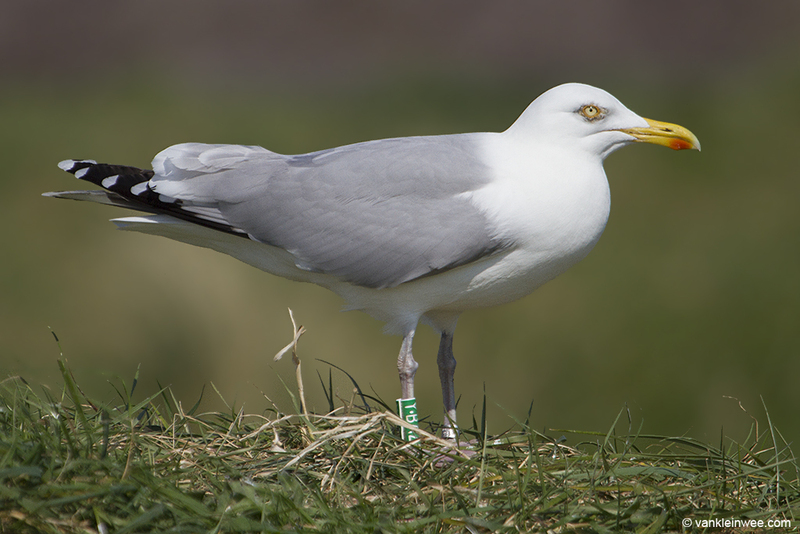 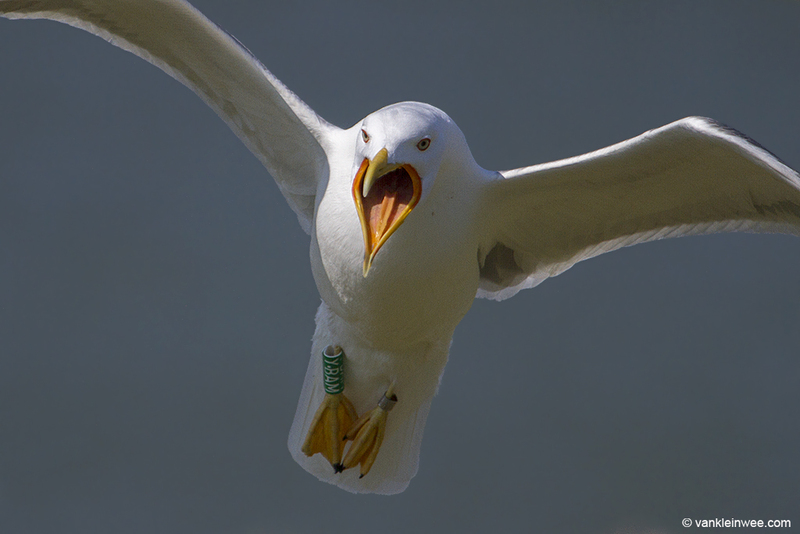 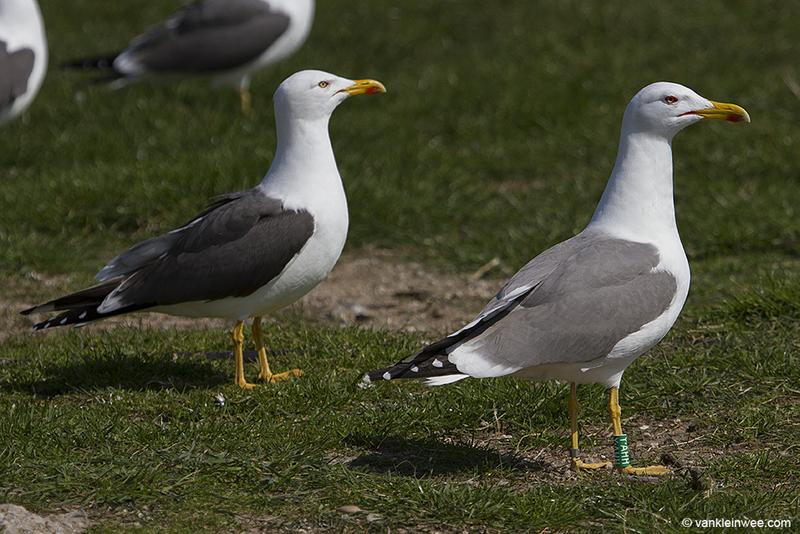 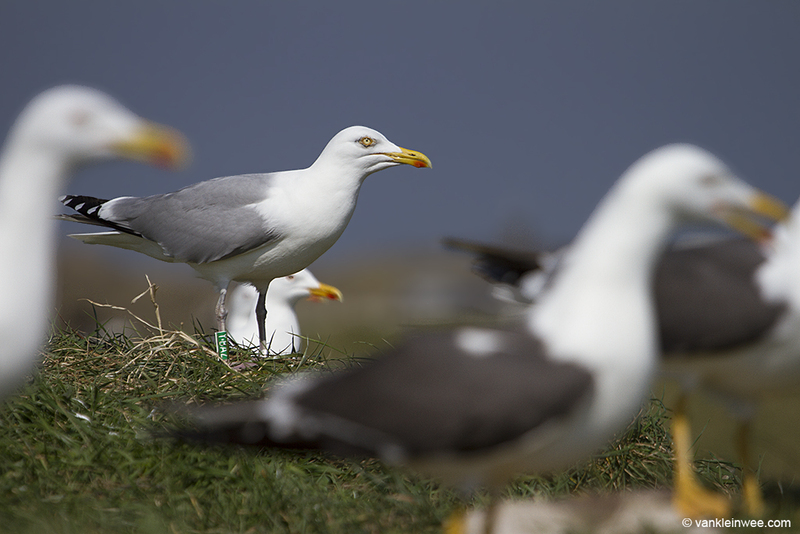 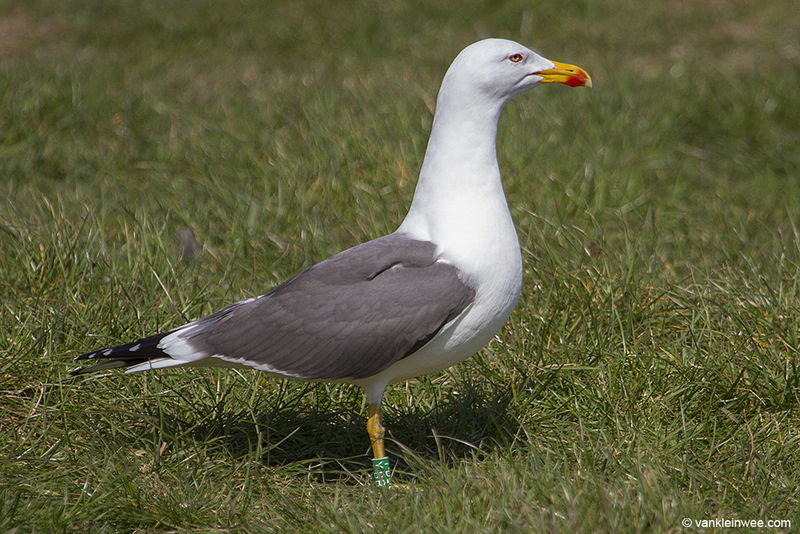 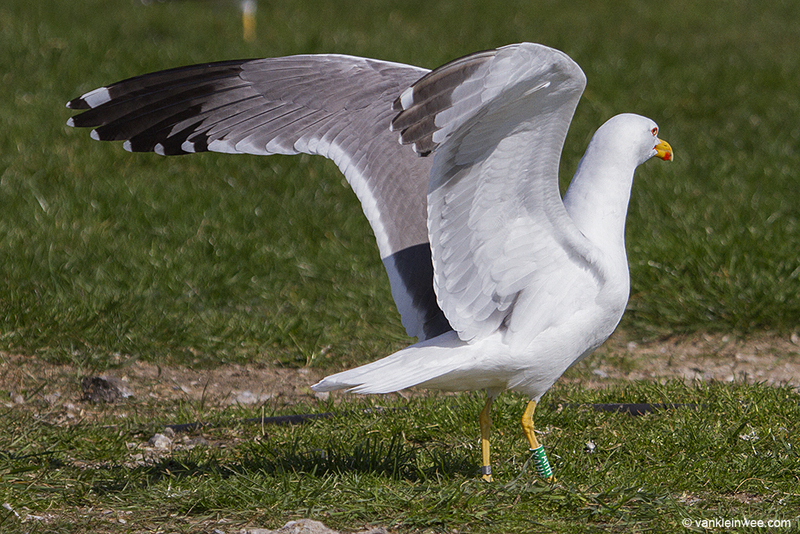 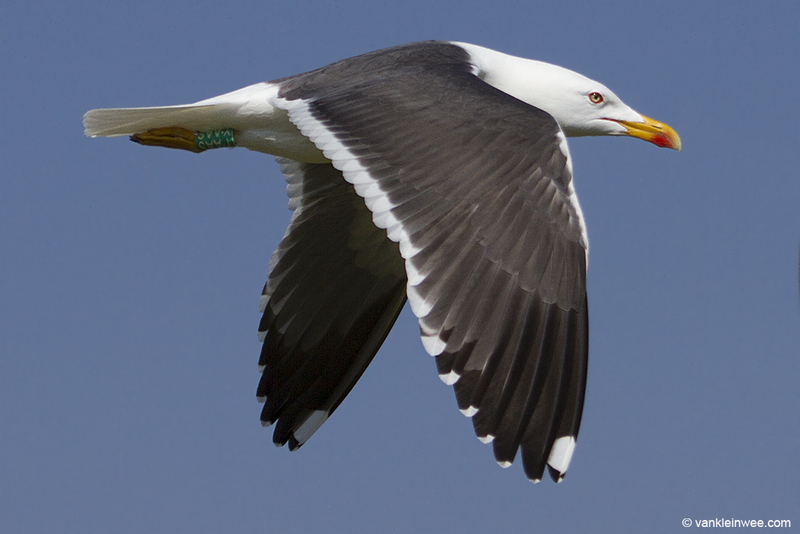 The colony is part of a research project and home to about 1,000 pair Lesser Black-backed Gulls, 100 pair Herring Gulls and 4 pair presumed hybrids Lesser Black-backed x Yellow-legged. 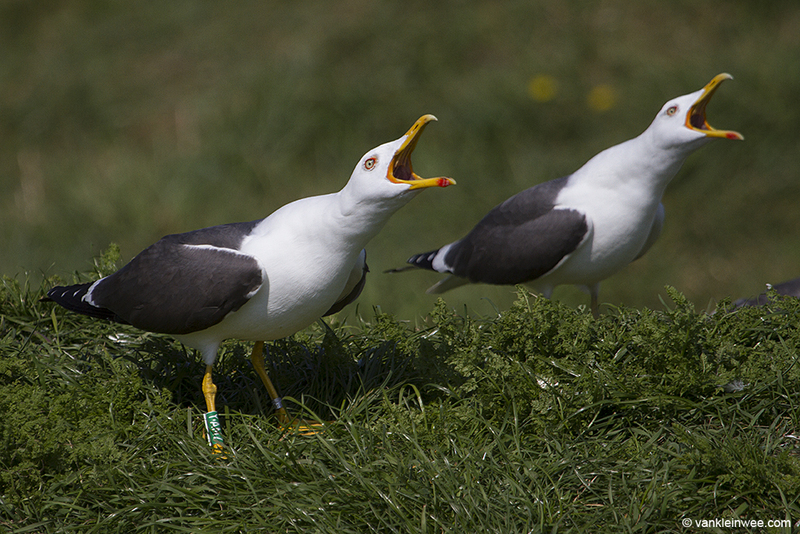 Male Lesser Black-backed Gull Green YAJZ mating with an unringed partner.